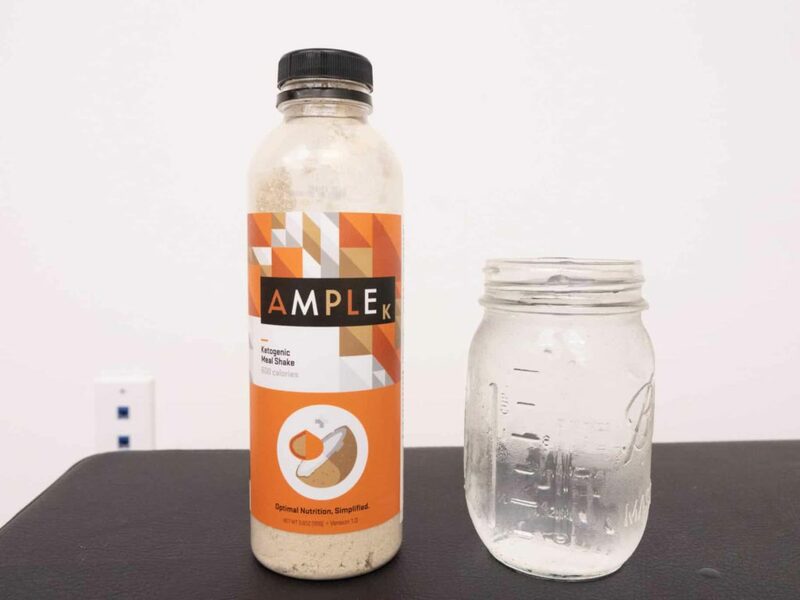 Home » Ample K Review – A Keto Meal Replacement, But What About Fats? 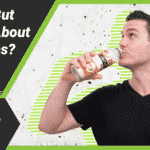 Ample K Review – A Keto Meal Replacement, But What About Fats? 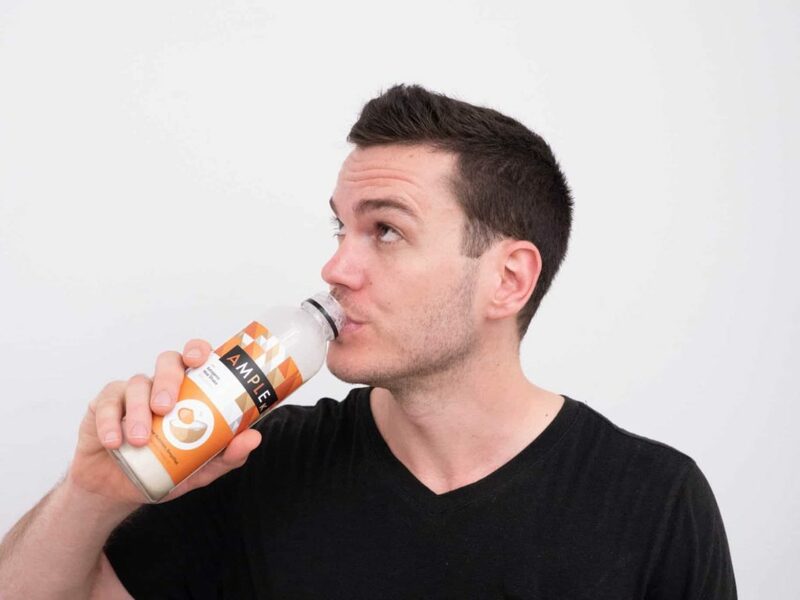 Ample was founded by former CrossFit® box owner Connor Young in 2015 and they produce a meal replacement with a hook: it’s made from all natural, “whole food” ingredients. It doesn’t have any artificial flavors or sweeteners, there’s no soy, there’s no gum. And if you’re talking about the regular, non-Keto version of ample, there are no added vitamins or minerals either. Ample K is a little different. It does have added vitamins — Vitamin D, iron, calcium, and magnesium — and of course, it’s way higher in fat and lower in carbs because it’s a keto-friendly product. There are some more subtle differences as well that we’ll get into in the following paragraphs. A keto-friendly shake packed with probiotics, it’s a great way to curb hunger while keeping you in ketosis. Use code BARBEND to save 15% on your order. 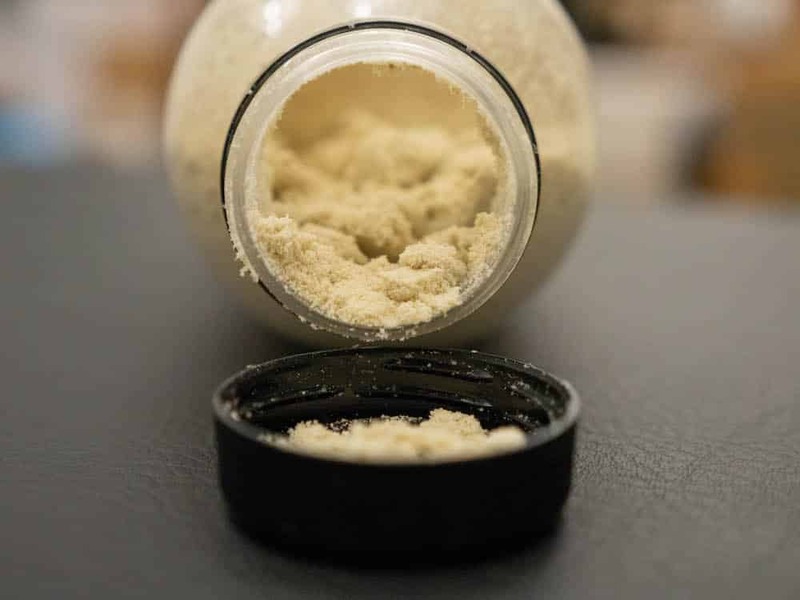 Ample K comes in a recyclable bottle that’s partway filled with powder. You fill it up with water, give it a shake, and drink. There’s not a lot to talk about with regard to micronutrients, there’s 15% of your daily potassium, 24% of your sodium, 10% of your iron, and 25% of your Vitamin D, calcium, and magnesium. What’s the best keto meal replacement? Our list is right here. 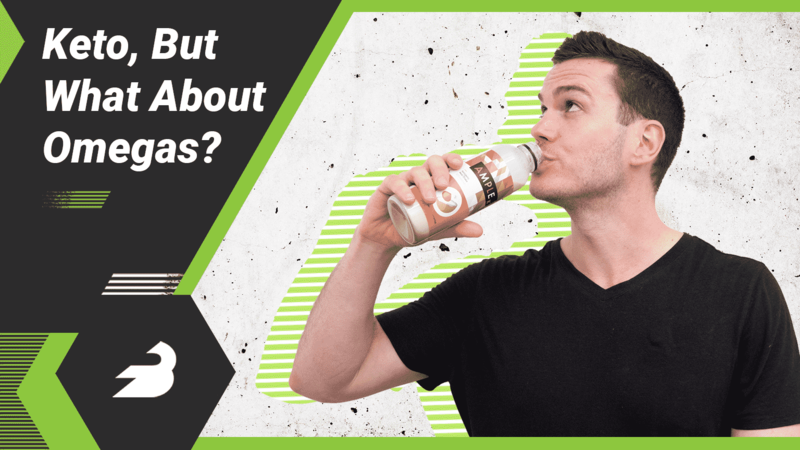 Coconut oil, macadamia nut oil, and grass-fed whey protein isolate are the first three ingredients and those most responsible for the macro profile here. 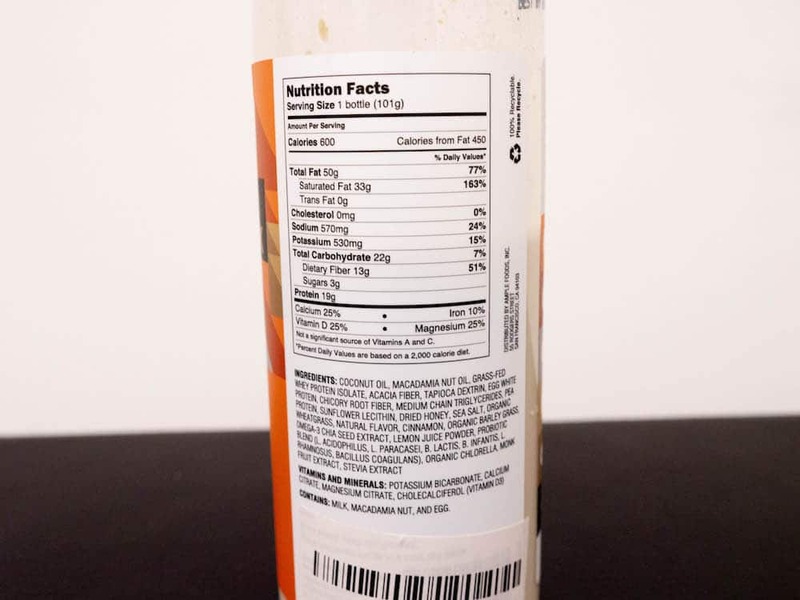 There’s some extra fat from medium chain triglycerides and sunflower lecithin; some additional carbs in the form of acacia fiber, tapioca dextrin, and chicory root fiber; and a little extra protein from egg whites and pea. Otherwise most of the other ingredients are flavorings (natural flavors, dried honey, cinnamon, sea salt, lemon juice powder, monk fruit extract, stevia extract), some greens (organic wheatgrass, organic chlorella, organic barley grass), and 40 billion probiotic bacteria from six strains (Lactobacillus acidophilus, Lactobacillus paracasei, Bifidobacterium lactis, Bifidobacterium infantis, Lactobacillus rhamnosus, Bacillus coagulans). Finally there are some added vitamins and minerals and some omega-3 chia seed extract. That omega-3 chia seed extract is a bit confusing. Putting aside the fact that omega-3 from chia seeds isn’t well absorbed by the body, there’s no information in the nutrition panel regarding how much omega-3 or polyunsaturated fat in general is contained in one serving, so that was a little frustrating. But hey, this is a solid snack for keto folks. This is super heavy on fat and it does a decent job of limiting omega-6 by sourcing the bulk of the fat content from coconut and macadamia. 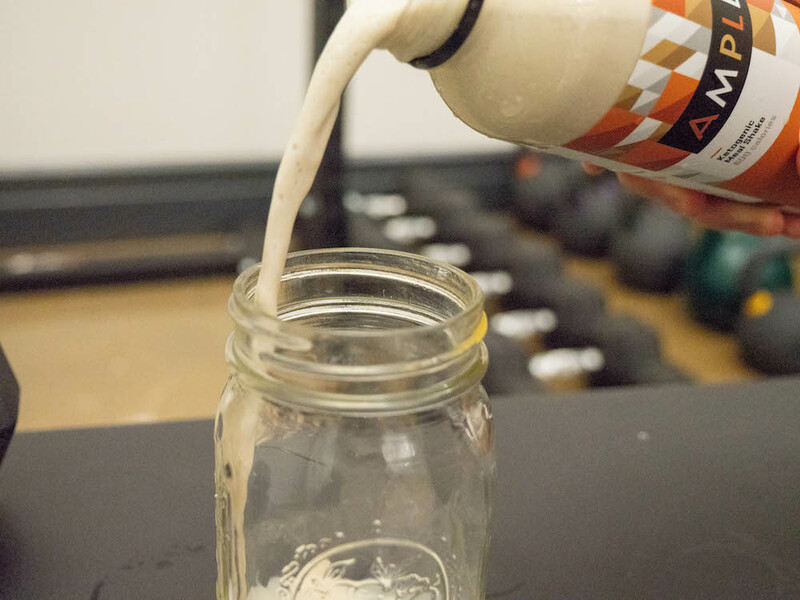 The product sells itself as a source of fat, protein, fiber, probiotics, and antioxidants. Certainly, it’s a good source of these, in particular the probiotic bacteria — 40 billion is nothing to sneeze at and the fact that they all come from six different strains probably makes them even better for your gut health. Certainly Ample K contains ingredients that contain antioxidants, like the barley grass, chlorella, and wheatgrass, but there isn’t too much information about how many antioxidants it contains (this can be measured with some scales, like the ORAC). Vitamin C, for example, is an antioxidant. Is there any in this product? I don’t know. 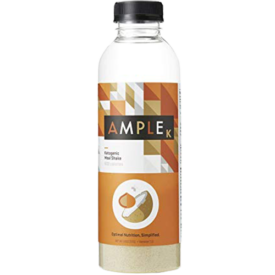 Nonetheless, I’m a big fan of the fact that Ample (finally) added some vitamins and minerals to their product so that it’s not just a source of calories and probiotics. A little pricier than regular Ample, you can pick up six bottles for $10 each (so $60 all together), 12 for $9.50 each, 30 for $9 or 60 for $8.50. You can also subscribe for regular shipments, which can drop the price even further. I was happy to learn this tasted pretty similar to regular Ample, which is to say liquid shortbread. It tastes buttery, cinnamon-y, and salty. It has more of an MCT oil taste, which is just generic, flavorless “fat” taste, and of course it has fewer carbs and sugar so I would say it’s blander than the original Ample, but I was still very happy with Ample K.
The potential drawbacks here are the lack of information regarding vitamins and antioxidants, but as far as pros, it’s packed with probiotics, it’s pretty low in omega-6, and it’s a great way to curb hunger while keeping you in ketosis.